Welcome to the 14th Transportation Battalion Association website. We hope you will enjoy it and find it informative. Each company has or will have its own area or site for you to visit. There are photos for you look though and maybe help identify someone or someplace. There is a membership area where you can go to join the association, and a member's only area where you can participate in the forums. Links have been established with other units or organizations and to Veteran's groups. We will be working on the site often, so please be patient if something doesn't seem quite right. The site is dedicated to you, our members and is here for you to use and enjoy. Please feel free to contact us if you'd like to contribute information, ask a question, give us feedback, or just say hello. Click on the picture or the link below after you read the instruction to search the database of names on the wall. After you link to the website, First click on a state. When it opens, scroll down to the city and the names will appear. Then click on their names. It should show you a picture of the person, or at least their bio and medals. This really is an amazing web site. Someone spent a lot of time and effort to create it. I hope that everyone who receives this appreciates what those who served in Vietnam sacrificed for our country. 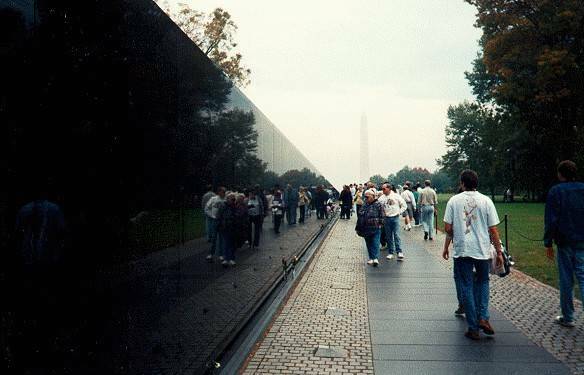 The link below is a virtual wall of all those lost during the Vietnam war with the names, bio's and other information onour lost heroes. Those who remember that time frame, or perhaps lost friends or family can look them up on this site.